Solange Knowles attends the Tribeca Ball 2012 at New York Academy of Art on April 16, 2012 in New York City. 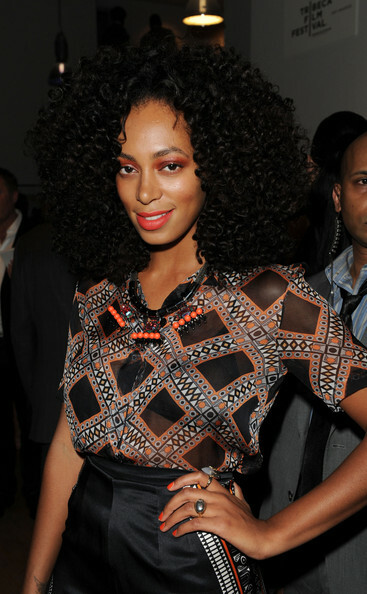 Solange Knowles went for lots of bold orange accents at the 2012 Tribeca Ball. She opted for a statement necklace, shimmering eyeshadow and opaque nail polish, all in the bright citrus shade.